I am a hell raiser, a professional organizer. I help people fight for social change. I’ve worked with inmates in state prison, residents of low income neighborhoods and with people with disabilities. I’ve marched, occupied buildings, organized public meetings, created media and sat in endless strategy meetings. All for the same thing–to help oppressed people express their dignity and fight for their freedom. For the past five years I have worked as the systems change advocate for ARISE, an Independent Living Center that works in five upstate New York counties. I organize people with all types of disabilities to advocate with local and state officials to pass legislation and implement changes in public policy. Our goals are better physical accessibility of public spaces, improved quality of health care, more accessible and affordable housing and public transit that meets the needs of our community. I myself am disabled, living as best I can with the chronic swelling disease known as lymphedema in both of my legs. Organizing is in my blood, having come to disability rights organizing after 20 years as a community organizer for Syracuse United Neighbors, a local neighborhood organization that works on issues of housing, poverty and crime. I love to take long walks with my wife and three doggies around our Syracuse, N.Y. home. I am a Tramp, born to run. 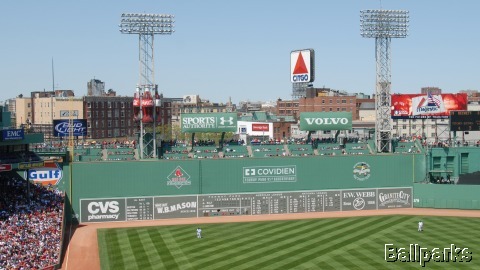 I also believe that heaven is located somewhere above the Green Monster.